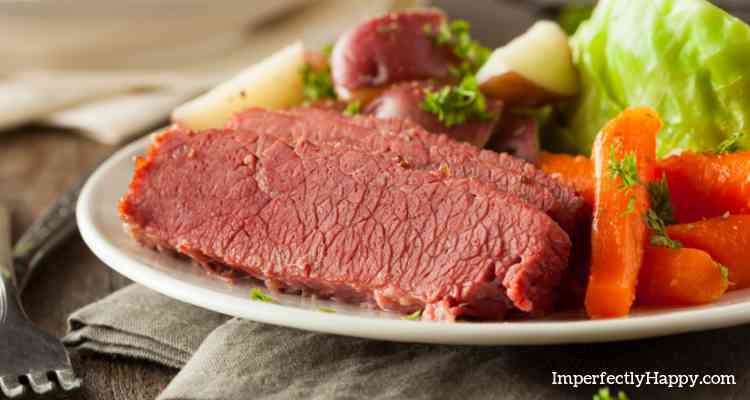 How to make Crock Pot corned beef or Instant Pot corned beef for St. Patrick’s Day this year. I am only a little Irish but I love to celebrate St. Patty’s Day with a traditional corned beef and cabbage recipe every year. One of the easiest ways to have homemade corned beef is to make it in your Crock Pot or Instant Pot – no fuss! I am going to give you directions for the Crock Pot Corned Beef and how I modified it for the Instant Pot. 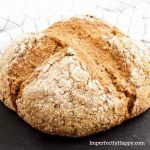 You’ll also find a simple Irish Soda Bread Recipe at the bottom, if you feel up to some homemade bread too (you won’t regret it). The leftovers from your Crock Pot corned beef will make amazing sandwiches (I recommend a good Jewish Rye for that). Of course you can just reheat the leftovers, no bread required. Maybe you’re wondering why I make a Crock Pot corned beef for St. Patrick’s Day; or why anyone eats this meal for the holiday. I did some research on this because I was curious. “In Ireland, St. Patrick’s Day is not a day to indulge in green beer but a religious holiday where you share boiled bacon with your family, according to the History Channel. So when the first wave of Irish immigrants made their way to the United States, they were searching for recipes similar to their native comfort foods. In Ireland, pork products were relativity inexpensive and perfect to feed an entire family, but immigrants to America quickly learned that bacon or any pork products were more expensive in their new homeland. 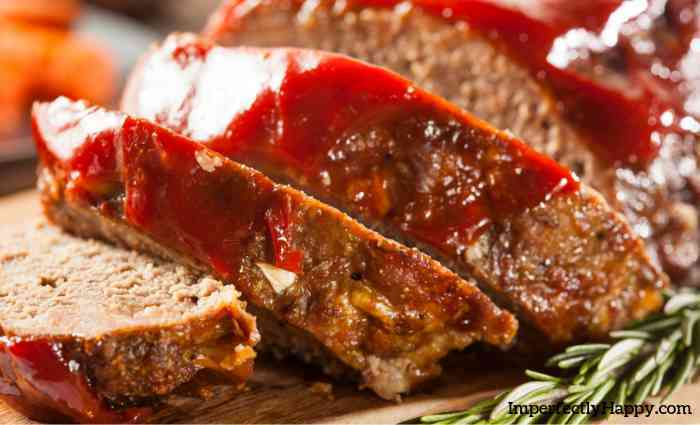 So to save money, they turned to the cheapest cut of meat at the time — beef brisket.” Read more about the history of this meal and St. Patrick’s Day Here. I’ll be honest, it took me years to feel confident enough to make my own corned beef for the holiday. But once I made this Crock Pot corned beef I couldn’t believe how easy it was! My family loves it too! Buy your corned beef early to make sure you have it! Serve with a grainy mustard, the vegetables and a freshly baked Irish Soda Bread (recipe below). See recipes for leftover Crock Pot Corned Beef at the bottom of this post! 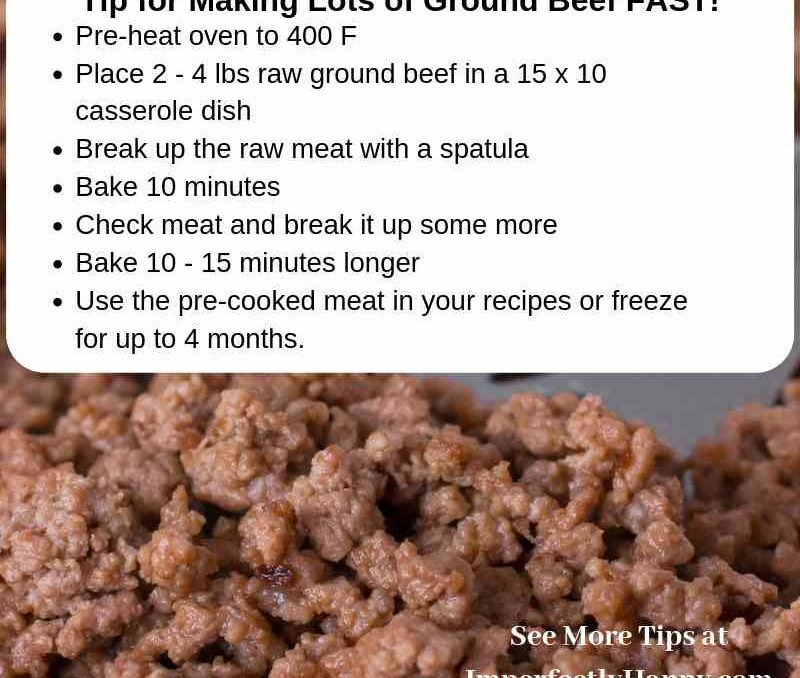 Remove the beef and let it rest for 10 minutes before slicing so it will remain tender. Serve your sliced Crock Pot corned beef with a spoonful or more of the vegetables. Consider having a grainy mustard as a condiment. I like to offer a tradional Irish Soda Bread as well. 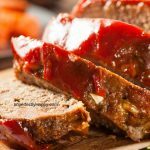 If you are shorter on your time available for cooking or you just prefer your Instant Pot then this Instant Pot corned beef recipe is for you! Both recipes make a delicious, simple meal, that you’ll be sure to enjoy. 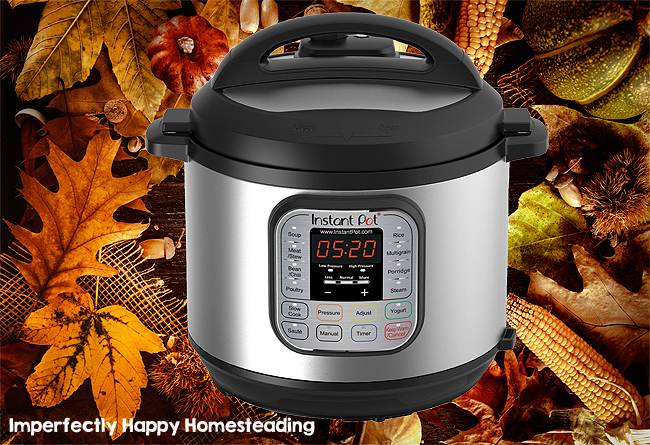 Whether you choose your Crock Pot or Instant Pot is really just personal preference. Then manually release any remaining pressure to avoid over cooking. Line your Dutch Oven with parchment paper (trust me this is not a step to skip). In your large mixing bowl combine the dry ingredients with a whisk. Add the cold butter chunks into the bowl and use a pastry blend or fork to cut into the dry mix. Slowly add the COLD buttermilk into the bread mixture and gently stir until you have a soft dough. Add the soft dough to your prepared Dutch Oven and use a rubber spatula to shape the dough into a round shape. Once the dough is in the correct shape use a knife to cut an X into the top. This should be a deep cut that goes past the middle of the bread dough! Put the Dutch Oven lid on and place it in your pre-heated oven. Bake for 30 – 35 mintues. Remove the Dutch Oven lid and allow the bread to bake another 10 mintues or more until the top is a golden brown. Once baking is completed you can lift the bread out of the Dutch Oven and put on a plate to serve with butter. 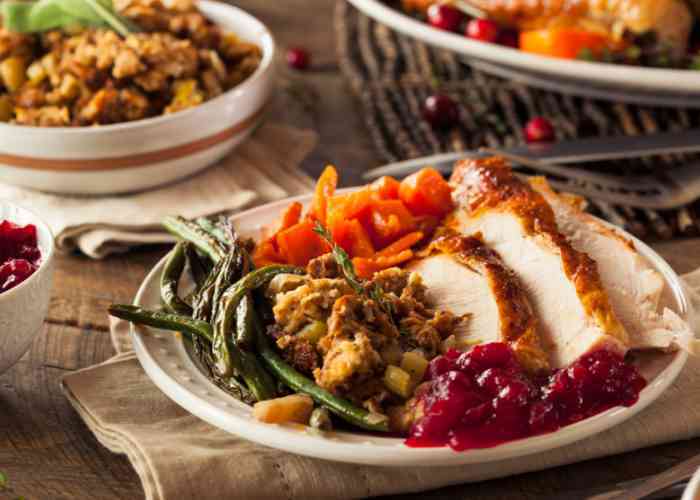 It is best when eaten the same day as prepared. Breakfast – make a corned beef hash and eggs (delish). 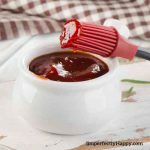 This was a staple in my house growing up and a perfect morning recipe! Lunch – you have 2 great options here! 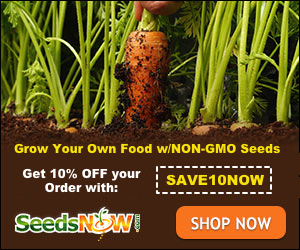 Make an awesome corned beef on rye sandwich! See Grilled Corned Beef Sandwich Recipe . Dinner – change up your Crock Pot corned beef and make a yummy Reuben Casserole for dinner! Have a Family Friendly St. Patrick’s Day Party! 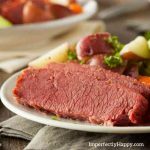 I hope this easy Crock Pot corned beef recipe or the Instant Pot corned beef recipe helps you make an amazing St. Patrick’s Day dinner! 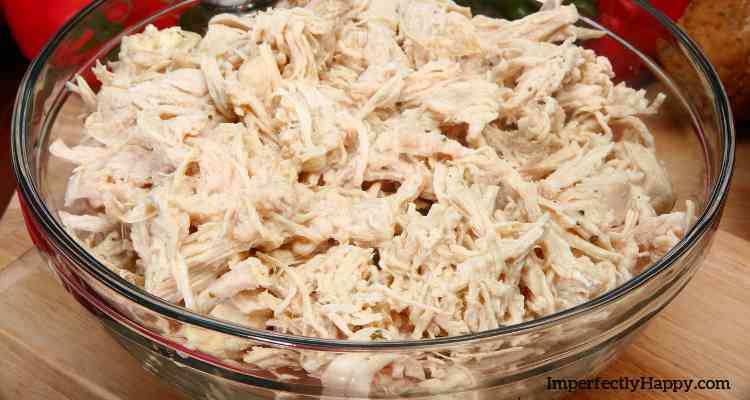 Invite your family and friends over for a pot luck meal and make it a party!!! Family Education has a great games, tips and activities for a fun St. Patty’s Day party for the family. Before making your Crock Pot Corned Beef, take time to learn the history of St. Patrick’s Day, it really isn’t about green beer and leprechauns!